September 17, 2018 – BRADY L . STEIN, M.D., M.H.S. Techniques open a field of opportunity for stem cell transplant recipients. Ron Gross thought nothing of getting bloodwork before undergoing fusion surgery for damaged discs in his neck. But he now considers that routine procedure a miracle. The blood test picked up a rare form of cancer called myelodysplastic syndrome, which occurs when the blood-forming cells in the bone marrow grow and mature abnormally. In 2012, Gross, who is retired and lives in Las Vegas, began transfusions and chemotherapy. However, that wasn’t enough to keep his blood counts up. Doctors told him that he needed a bone marrow transplant to live. He started his search for a donor within his family, but no one was a match. 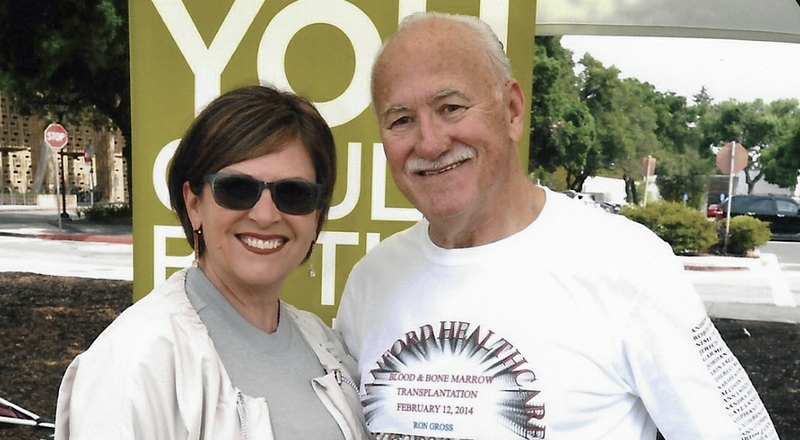 The 67-year-old also credits the “unbelievable support” of health care providers at Stanford Cancer Center, Las Vegas Cancer Center and Be the Match, which manages the largest and most diverse bone marrow registry in the world. A stem cell transplant, sometimes referred to as a bone marrow transplant, replaces unhealthy blood-forming cells with healthy ones. It can be performed on patients with hematologic malignancies, such as leukemia, lymphoma, myelodysplastic syndrome and multiple myeloma. To determine a patient’s suitability for this treatment, a health care provider considers the person’s overall health and age and the likelihood the disease will respond, according to the Leukemia & Lymphoma Society. Transplants are being done in patients up to 75 years old, according to some experts. Two main types of stem cell transplants can be used: autologous and allogeneic. An autologous transplant involves removing a patient’s own stem cells from their blood before they receive treatment, such as chemotherapy or radiation, that may destroy them. In an allogeneic stem cell transplant, a donor’s cells are used. A close family member is the ideal candidate, but if there is no match among relatives, a donor may be found through a national registry. “Since patients can use their own stem cells in an autologous transplant, it’s easier and quicker than an allogenic (transplant),” says Auayporn Nademanee, M.D., Jan & Mace Siegel Professor in Hematology & Hematopoietic Cell Transplantation and director of the Matched Unrelated Donor Program at City of Hope in Duarte, California. Donors and patients are matched by their human leukocyte antigen (HLA) tissue type. HLAs are proteins, or markers, found on most cells in the body. A simple cheek swab can help determine whether an individual is a close bone marrow match. The best marrow transplant outcomes occur when a patient and donor’s HLA closely match. If there is more than one match, factors such as the donor’s age, gender, blood type, height and weight will be considered, according to Be the Match. In some cases, however, mismatched or haploidentical (half-matched) donors might be used. This has become increasingly common and safer with new transplant techniques, says Andrew Brunner, M.D., of Massachusetts General Hospital in Boston. A haploidentical donor, such as a parent, child or sibling, can more readily be used if the recipient is given a conditioning regimen — certain chemotherapy before and after the transplant is infused. “If we can diminish the transplant risk with a half-match by using this specific cocktail, perhaps this approach also will work for a mismatch donor,” says Brunner. Siblings will be perfectly matched 25 percent of the time; half-matched, 50 percent; and totally different, 25 percent, says Dennis Confer, M.D., chief medical officer of the National Marrow Donor Program and its Be the Match registry. Parents are half-matched to their children. Another consideration for stem cell transplantation includes a patient’s ethnicity. Caucasians have a 97 percent likelihood of finding a match, whereas African-Americans have a 66 percent chance, according to Be the Match. “Efforts to increase the number and diversity of donors, as well as new techniques for alternative donor transplants such as using half-matched donors or umbilical cord stem cells, have improved the chances of finding a match for patients who identify as a racial or ethnic minority, but disparities remain,” Brunner says. Cord blood, bone marrow and peripheral blood stem cells provide sources of blood-forming cells used in these procedures. The newer cord blood transplants proved beneficial for Amy Marsh, who received one in 2015, the year after she got a diagnosis of acute myeloid leukemia. Then 37 and a professional triathlete, Marsh felt something was off physically through her training. “I just wasn’t feeling good,” says Marsh, who lives in Austin, Texas. “I was more tired than usual, but who isn’t tired when they’re training 20 to 25 hours a week for Ironman triathlons? Instead of taking a 30-minute nap, I would take two-hour naps, and my husband would have to come and wake me.” Her breathing also felt more labored during what she considered easy runs. Cord blood contains stem cells that can cure diseases such as blood disorders, immune deficiencies, metabolic diseases and some certain cancers. In preparation for an umbilical cord blood transplant, an expectant mother should make a plan with her OB-GYN. Cord blood is collected from the umbilical cord and placenta after a baby is delivered. It can be saved, frozen, in a private bank for the child or family members; however, there is a maintenance fee. Cord blood can also be donated to a cord blood bank for public use, at no cost to the donor’s family, Nademanee says. Because it requires less immunological match than other sources, cord blood opens the door to transplant for those who wouldn’t normally have a donor, says Joshua Sasine, M.D., director of the chimeric antigen receptor (CAR) T-cell therapy program at UCLA’s Jonsson Comprehensive Cancer Center. The downside is that cord blood transplants generally take longer to engraft — when the body accepts the transplanted bone marrow or stem cells — increasing the risk of infections. The rate of graft failure is also higher than with a matched sibling. If that occurs, graft failure could leave a patient unable to make blood cells. “Although quite uncommon, this scenario’s often fatal and something we take extremely seriously and discuss with the patient prior to transplant planning,” Sasine says. In addition, cord blood donation involves smaller cell doses, which might be insufficient for a transplant, especially for adults, according to Nademanee. Typically, cord blood is used for young children because cell doses are the key factor in engraftment. The cost of cord blood is quite expensive — about $25,000 per unit. Furthermore, the rate of blood count recovery is slower because of cord blood’s immaturity, Nademanee notes. “We believe that cord blood plays a critical role in transplants, but it’s going to take time to sort out how it compares (with) these mismatched family donors in the long run,” Confer says. Patients are monitored closely before, during and after transplant. Most of the procedure will be performed over the course of an approximately four-week hospital stay, according to Brunner. It includes roughly a week of pretransplant chemotherapy and then a few days for the body to rest before the stem cells are infused. Next, a patient waits for the cells to engraft and then start to multiply and make new blood cells. Brunner says it may be several weeks until blood counts recover to a safe level, allowing the patient to leave the hospital. “This requires ongoing monitoring at a transplant center, which most frequently occurs during the first 100 days of a transplant but typically continues out for at least six to 12 months, then intermittently for years after a transplant,” he says. Cure rates following stem cell transplantation vary widely, according to Confer. For instance, he says, highrisk leukemia is about 35 to 40 percent, and standard-risk leukemia is 60 percent. The procedure, although potentially curative, also comes with other risks — some deadly. Graft-versushost- disease (GVHD), an associated risk with allogeneic transplants, occurs when the new immune system, made up of donor stem cells, sees the patient’s tissues and organs as something foreign and then attacks them. Acute GVHD happens in the first months after transplant. The chronic type develops later and can include symptoms like joint or muscle pain, vision changes, a yellow tint to the skin or whites of the eyes, dry mouth, oral sores, diarrhea, nausea and vomiting. 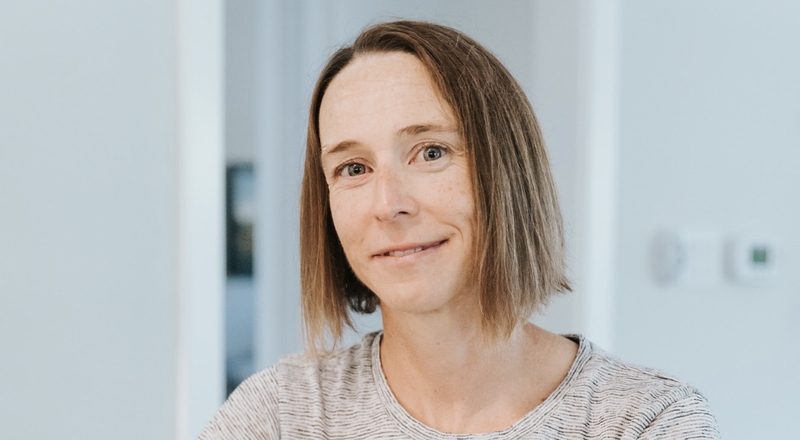 “Preventing GVHD typically requires giving immunosuppressive medications at the time of transplant and slowly weaning those off as the graft ‘grows up’ inside the recipient,” Brunner says. Other immediate side effects include bleeding, graft failure, lung inflammation, and mouth and throat pain. Organ damage, relapse, secondary cancers, abnormal growth of lymph tissues, infertility, hormone changes and cataracts may arise later. Over the past few decades, transplants have become more readily available to every patient, Nademanee says. She is also encouraged by the role of CAR-T cell therapy in treating patients where conventional chemotherapy has not maintained a remission. CAR-T cell therapy involves removing a patient’s T cells, genetically modifying them to recognize antigens on the malignant cells, and then reinfusing them into the body. “(In the future), we expect that more and more patients can be cured with stem cell transplant,” she says.